The remixed Season 4 – debuting on Netflix Friday – offers a rare opportunity to improve the story of a family whose dysfunction resonates anew. 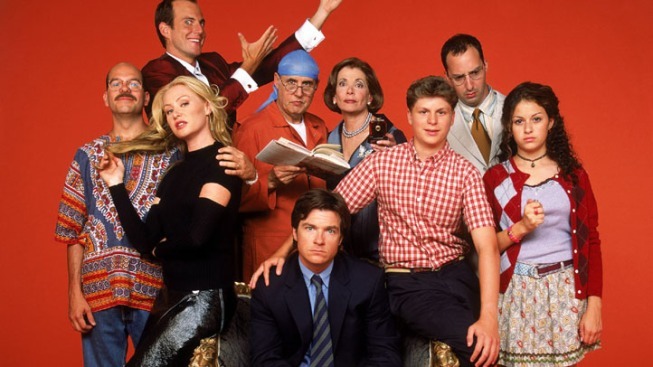 A remixed version of Season 4 of "Arrested Development" is headed to Netflix – just in time for Cinco de Cuatro. Endings can be hard to get right – especially when they're not necessarily the end. The finale of "Seinfeld," which aired 20 years ago this month and spurred double-dipping-level dismay, got a redo of sorts more than a decade later on "Curb Your Enthusiasm." The 2013 comeback season of "Arrested Development" turned off some with its "Rashomon"-meets-jigsaw-puzzle doling out of small pieces of the same story over 15 episodes that each focused on one character. Show creator Mitch Hurwitz pulled a surprise out of the banana stand this week – announcing that Season 4, re-edited into 22 installments telling one chronological Bluth saga, is set to debut Friday on Netflix. The do-over offers a rare opportunity to improve the story of a crass family whose dysfunction resonates anew. "Arrested Development," a spiritual heir to "Seinfeld" with its lineup of selfish characters, proved ahead of its time in some respects. The Season 4 approach arrived geared toward the then-nascent culture of binge-watching. Audiences since have grown more accustomed to shows that play with timelines and slow reveals ("Westworld" and "A Handmaid's Tale," to name two recent decidedly unfunny examples) – especially when fans are able to devour episodes in marathon viewings. Baio appeared in the most recent “Arrested Development” season, which centered on Bluth efforts to make a fortune building a wall along the Mexican border. The disparate events of Season 4 collided on Cinco de Cuatro – the evening holiday made up by Lucille Bluth in a bid to foil Cinco de Mayo parties so that her Latino servants wouldn’t take off on May 5. Like all Bluth plots, the scheme backfired and became an extension of the celebration. Howard made a fun video this week in which he explains the “Star Wars” saga, narrating “Arrested Development”-style. The mashup draws on some unlikely similarities – including father-and-son conflicts galore and inappropriate affections (Luke’s pre-revelation flirtation with Leia, mirroring would-be kissing cousins Maeby and lightsaber fan George Michael). Disney can’t stop pumping out new “Star Wars” flicks, while life for “Arrested Development,” has been tenuous since Fox cancelled the show in 2006 after three seasons. Its cult following grew on Netflix, which, Hurwitz promised this week, will air Season 5 “like real soon.” It’s unclear whether this will be final hurrah for a show whose every gasp threaten to be its last. In meantime, revisiting Bluth disorder in a new order seems as an appropriate way as any to celebrate Cinco de Cuatro.